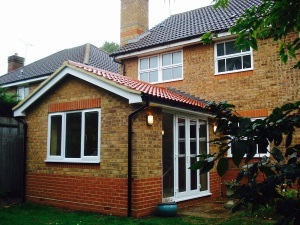 At Tae Builders we can provide you with the home extension or building alteration of your dreams. 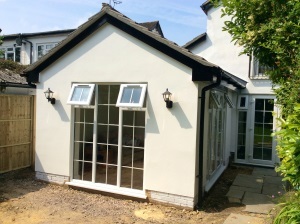 Whatever your plans we can build high quality extensions or alterations both exterior and interior. We operate across Bracknell, Wokingham, Sandhurst, Ascot, Binfield and the surrounding areas. We are a professional building company offering a range of high quality building and brickwork services since 1994. Tae Builders is a small family owned building firm based in Warfield near Bracknell run by Tommy Eccles and his wife/business partner Wendy. Tommy's career in construction started from a very young age when he left school and started to work for his Uncle's building firm, he decided to undertake a Bricklaying Apprenticeship of which his Uncle was only too happy to oversee. Whilst Tommy had specialised his trade in Bricklaying he gained a wealth of knowledge across the board, always learning and absorbing information and skills from the other trades that he worked with. In 1994 Tommy decided to set up his own building firm and named it Tae Builders (Tae being Tommy's initials). While Tommy is at the forefront of the firm from meeting new clients, giving welcomed advice and the actual building side of a project, Wendy his wife and business partner runs the background side of the firm. Wendy handles the financial business element of the firm and also liaising with the client and materials suppliers. 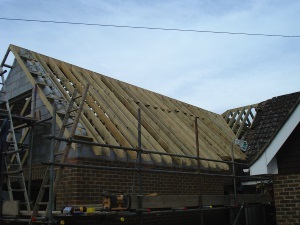 Whether you require help with extensions or internal modifications in Wokingham, Ascot, Bracknell, Camberley, Maidenhead, Binfield and further afield then Tae Builders is the premier company to call. Undertaking all works throughout Berkshire.